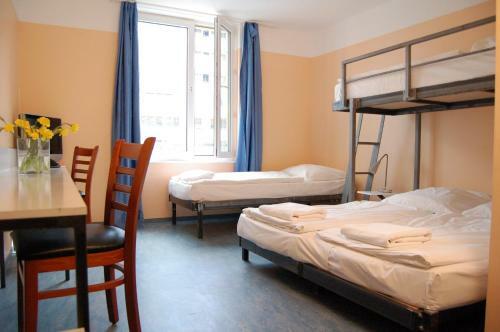 This hostel is conveniently located in Berlin's bustling Friedrichshain district, close to the famous Alexanderplatz square and public transport links that allows you to easily explore the whole city. Free WiFi is provided in all areas. 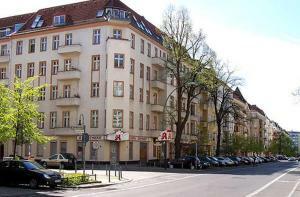 The Pegasus Hostel Berlin is just a short walk from the well-connected Ostbahnhof railway station. There are also many pubs, clubs, bars and restaurants in the area around the hostel, which is currently one of the trendiest districts of Berlin. 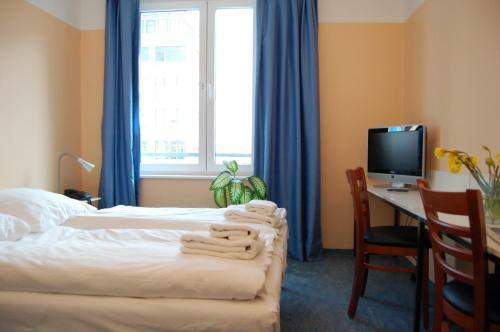 NH Berlin Alexanderplatz price per day from €55 This 4-star hotel is located opposite the Volkspark Friedrichshain park in Berlin, a 9-minute tram ride from Alexanderplatz Square. The NH offers air-conditioned rooms, an international restaurant and a green terrace. The spacious rooms at the NH Berlin Alexanderplatz feature modern décor. All rooms include cable TV, video games and a modern bathroom. Meals and drinks can be enjoyed on the terrace in warmer months. Innside by Meliá Berlin price per day from €56 This 4-star design hotel in Berlin's Friedrichshain district offers stylish accommodation and free use of the gym and sauna. 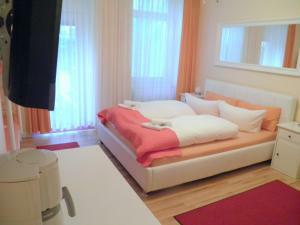 It lies beside Ostbahnhof Train Station, with Alexanderplatz a 5-minute train ride away. All spacious rooms facing the green, quiet courtyard at the INNSIDE Berlin feature modern art. Open plan bathrooms offer a panorama glass shower or bathtub. Featuring a conservatory and bar, the InterMezzo restaurant serves a breakfast buffet and offers a range of excellent, international cuisine. New Berlin price per day from €50 This 4-star hotel offers a spa and the Grill by Boston restaurant, which serves steak and seafood dishes. 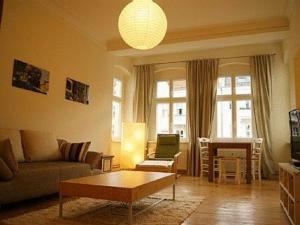 It lies in Berlin’s Friedrichshain district, close to the famous Alexanderplatz square and the Volkspark park. The modern, stylish rooms at the NEW BERLIN include a laptop safe and a TV with satellite channels. A hairdryer and bathrobes are provided in the bathroom. Guests receive a free bottle of mineral water on arrival. Restaurant Burgermeister, Berlin Guest reviews: 9/10 ~ 1,7 km from Pegasus Hostel Berlin Address: Oberbaumstrasse 8, 10997, Berlin. Cuisine: Hamburgers. Restaurant Madami - Mom's Vietnamese Kitchen, Berlin Guest reviews: 9,6/10 ~ 2,2 km from Pegasus Hostel Berlin Address: Rosa-Luxemburg-Str.3, 10178, Berlin. Cuisine: Asian. Restaurant Masteca e Tasi, Berlin Guest reviews: 9,4/10 ~ 2,3 km from Pegasus Hostel Berlin Address: Neue Bahnhofstrasse 22, 10245, Berlin. Cuisine: Italian. Restaurant Jamme Ja - Italian Street Food, Berlin Guest reviews: 10/10 ~ 2,3 km from Pegasus Hostel Berlin Address: Neue Bahnhofstrasse 7b, 10245, Berlin. Cuisine: Italian. 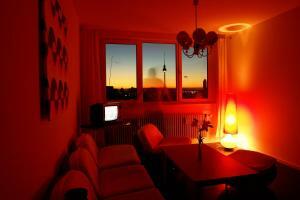 Restaurant Cuore Di Vetro, Berlin Guest reviews: 9,8/10 ~ 2,4 km from Pegasus Hostel Berlin Address: Max-Beerstr. 33, 10119, Berlin. Cuisine: Italian.